The donated money for a homeless veteran who helped a stranded couple is gone. Now there's a back and forth between the man and the couple regarding what happened to the couple. 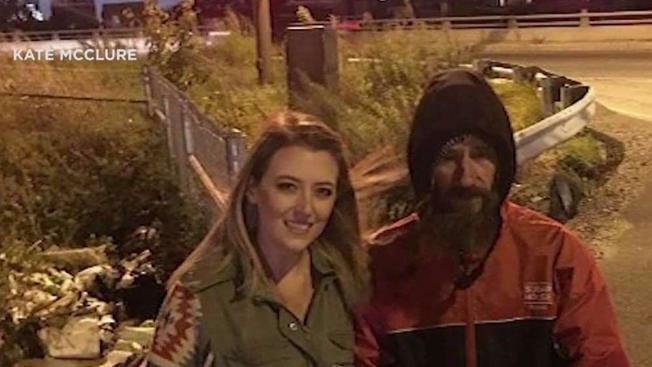 The lawyer of a homeless man in Philadelphia whose selflessness led to donations of more than $400,000 through an online fundraising page says all the money is gone. Johnny Bobbitt's attorney, Chris Fallon, said he learned the cash was gone in a call with lawyers for Kate McClure and Mark D'Amico. They're the couple accused in a lawsuit brought by Bobbitt of mismanaging donations raised for him through GoFundMe. McClure and D'Amico's attorney, Ernest Badway, declined to comment. Bobbitt met the couple in November 2017 when they ran out of gas on Interstate 95. Bobbitt walked several blocks and used his last $20 to help fill their tank. The selfless act quickly took the internet by storm. Soon after, McClure set up an online fundraising campaign to repay Bobbitt. It raised more than $400,000 from more than 14,000 people. The relationship has since soured. Bobbitt sued McClure and D'Amico over the summer because he was concerned they mismanaged a large part of the donations raised for him. The New Jersey couple denied any wrondoing, arguing they were wary of giving Bobbitt large sums because they feared he would buy drugs. Bobbitt's lawsuit contended the couple committed fraud by taking money from the fundraising campaign for themselves. Last week, a Burlington County, New Jersey, judge ordered McClure and D'Amico to turn over the donation money. The judge said the couple must give the money to their defense lawyer, who was directed to place funds into an escrow account as the case continues. The judge also ordered McClure and D'Amico to provide a full accounting of the money they raised. McClure and D'Amico have repeatedly denied misusing any of the money. D'Amico said Bobbitt spent $25,000 in less than two weeks in December on drugs, in addition to paying overdue legal bills and sending money to his family.